In truth, the zenith of Malaysian films in the Pusan International Film Festival probably came during last year’s edition, when Malaysian films had a special category (Three Colours of Malaysia) all to itself. It also helped that Liew Seng Tat swooped in with his ‘Flower in the Pocket’ to emerge as the one of the eventual winners. This year, as Pusan trains its eyes on Romania instead, Malaysian films have taken something of a backseat to the proceedings. Somewhat eclipsed even by their regional neighbours (Singapore, Indonesia and the Philippines seemed to have more buzz about their films, somehow), the regulars of past editions like James Lee, Ho Yuhang, last year’s winner(s) Seng Tat and Tan Chui Mui were nowhere to be found. Probably because she’s still ‘Waiting For Snow in Kuantan’. That’s not to say that the selections were nothing to be reckoned with. We had a total of five feature films being screened, with three of them being world premieres and an award winner from Venice also on offer. In addition, Pete Teo was in a very greedy mode, with three of his music videos selected for the ‘Music Videos by Asian Film Directors’ screening. Sharifah Amani was equally hungry, nothing appearances in three films. Charlotte Lim also chipped in with her short film ‘Escape’, while Ngui Ing Yat didn’t let us down with his participation in the Asian Film Academy. The festival began for us with Yasmin Ahmad’s world premiere of ‘Muallaf’ (known as ‘The Convert’ here. I guess it ‘converted’ along the way). 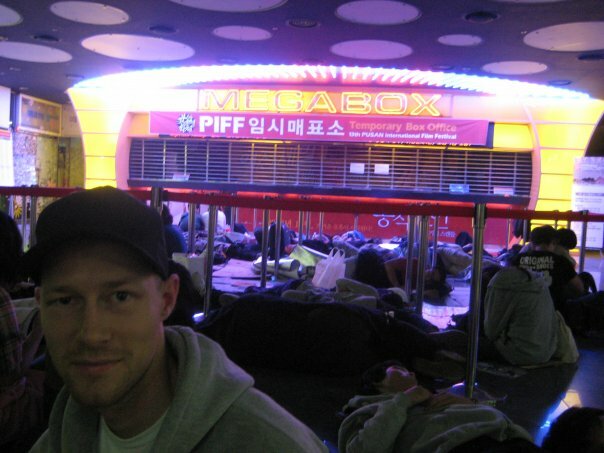 Having arrived at 4am from Seoul, my friends and I literally had enough time to dump our bags in our accommodations (which can be politely described as a box, rather than a room) and clock in less than an hour of sleep before heading out around 7am. We’ve learned from experience that the first full day is the key. As it so happens, ‘Muallaf’ would have it’s world premiere in the first slot on the first full day. However, having trawled through the programme prior to our arrival, we had to check, double-check, and triple-check that it wasn’t the Thailand documentary with the same name. Once that was done, there’s the small matter of actually lining up for the tickets. Even at the early hours, the crowd was huge; the queue for the tickets snaked its way throughout half the length of the mall. And that was just at our location. Five cinemas took part in the festival, scattered all over town, where the lines are undoubtedly just as long. Priority is also given to special guests, who can obtain their tickets a day earlier than the normal punters. We were registered as cinephiles ourselves (film students, which means that we can also get the tickets a day earlier), but it had to be picked up a day earlier. Time being against us, we had no choice but to line up for the tickets like the rest of the crowd, spending some two hours in the line. Eventually, the Malaysian contingent that is us (and a Swiss guy) got the tickets for ‘Muallaf’. While there was some joy in that, it was with cruel luck that the screening also clashed with not one, not two, but three other Malaysian films in the first slot (‘Budak Lapok’, ‘Sell Out!’ and ‘Punggok Rindukan Bulan’, translated as ‘This Longing’). That meant that four out of the five Malaysia features screened in the first slot alone! There would be other chances, of course, to catch these films, but it would no doubt clash with the other films that I had planned on catching myself. With time, I would be proven right: I missed out on ‘Budak Lapok’ totally, as I decided to plump for the world premiere of ‘Cicakman 2’ instead. However, I’m jumping ahead of myself. The cinema was nearly full for ‘Muallaf’. I was reliably informed that the same was true for the other screening, as well as for the first screening of ‘Punggok’. In my opinion, the film stayed true to Yasmin Ahmad’s recent form. I generally enjoyed it, and gained something positive from it. However, it’s heavy slant on religion might turn a fair number of people off. I have an idea that it might be banned in Malaysia for that sole reason, though if that would be the case, it would be a great loss. A gain, however, for the Koreans. The audience was lively enough for a morning screening, and Kak Yasmin took plenty of questions afterwards. 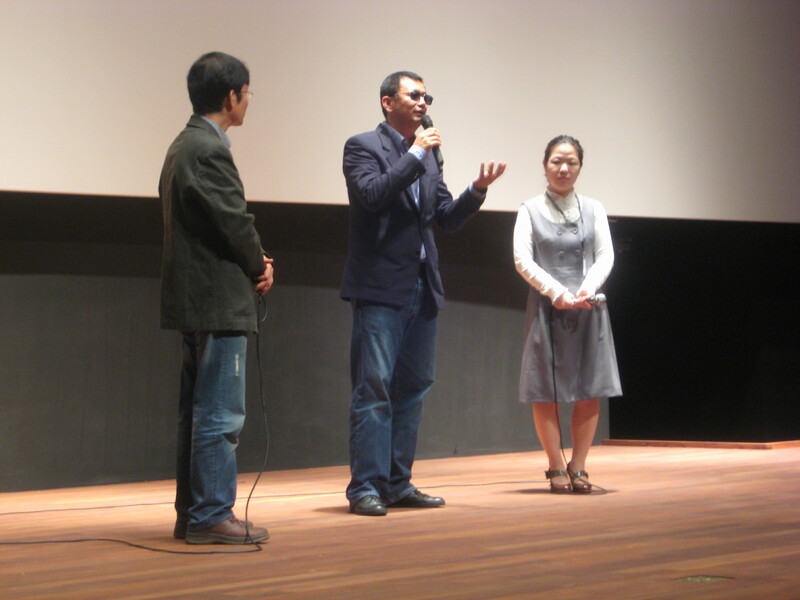 The questions unsurprisingly centered on the religious aspect of the film; with Christianity an influential religion in Korea, many of the questions from the Koreans in the crowd sought further clarification over these aspects in the film. After the screening, the Malaysians gathered together and exchanged belated Raya greetings, since the festival started on the second day of Eid Mubarak. After exchanging such greetings and self-promotions (Azharr Rudin didn’t help the environment by giving me a lot of flyers for ‘Punggok’), we had the requisite picture session. “First New Wave in front, Second New Wave in the back,” I thought out loud. We headed for lunch together, which was quite pleasant. Out of all of the Malaysian filmmakers, Kak Yasmin was probably the one I clicked with the most. I guess the fact that she shares the same hometown of Muar with my father probably helped. Talking about ‘Punggok’ over dinner, we cracked a small joke about how it sounded like ‘punggong’ (‘arse’ in Malay) missing the moon (the title’s literal translation). “I suppose that’s how the term ‘mooning’ came about,” I mused, much to her delight. The second Malaysian film available was ‘Sell Out!’ the next day. I had specifically planned for the film: I didn’t watch any other film that day, partly because of the travelling time required between the different screenings was prohibitive. I was once turned away from a screening despite being only two minutes late according to my watch. After having spent over RM30 on a cab to have come so close, I wasn’t about to make the same mistake again. The other reason was that I wanted to catch up on my sleep. After the lunch with the Malaysians, I went for the Sundance winner ‘Captain Abu Raed’, but shamefully fell asleep for a short while in the cinema. That’s the peril of film festivals: there are so many films on offer you feel that you can’t miss out on them, but the films, the travelling, and the early morning starts for the tickets does take its toll on the mind and the body. “What was the film like?” asked Kak Yasmin later. “Err…” I stalled. “The tone of the film changed in the second half.” It was true; I just didn’t know for sure what caused the change. The same would later happen for ‘Adela’, a Philippines film, on the last day. Having said that, the slow dragginess of some of the films doesn’t help, either. What a good decision it turned out to be, because ‘Sell Out!’ was the undoubted winner of the Malaysian films at Pusan for me. It was funny, brave, fresh, original, vindictive, clever, and incredibly well-written. The audience’s reactions throughout the film was far more positive than any of the films that I had seen at Pusan this year, Malaysian or otherwise. It was unfortunate, then, that the festival didn’t arrange for a Q&A session with the director, Yeo Joon Han, who was in attendance, and who had in fact turned down another film festival to present his film here. As it turned out, the festival didn’t arrange much for Joon Han, but perhaps that is a story that is better told by Joon Han himself, should he wish to do so. A pity, really, because it really was that good, and it was very well received. One member of the audience even asked Joon Han whether he can buy the film on DVD. As it stands, the film’s release has yet to be confirmed, but I sincerely hope that this will be sooner rather than later. It will be a loss to many if it remains exclusively on the festival circuit. By the end of the festival, I rank ‘Sell Out!’ amongst the top three films I managed to watch, with the Cannes winner ‘The Class’ and Taiwanese film ‘Parking’ for company. Next up, ‘Cicakman 2’. In truth, I was very surprised that this film was even selected at all. Quite frankly, the first one was very disappointing for me, relative to the hype surrounding it (though the technical achievements are impressive). I think that ‘Cicakman 2’ was very lucky that the festival chose to have a segment on Asian superhero films, because it doesn’t seem like the kind of film that Pusan would have screened otherwise. Out of the rest of the films in the category, it was the only world premiere on offer, but then again, the rest of the films were produced in 2006 or earlier (‘Gekko Kamen’ was made in 1958! We don’t have enough superheroes in Asia, ah? 🙂 ). Thus, it was the default leading light in a fairly weak category. Don’t let that take away from the film itself. Perhaps because of my relatively low expectations, I came out of the screening fairly satisfied with what was shown on-screen. The computer graphics was again relatively well done, and may even be an improvement on the first film. Considering the director Yusry Abdul Halim’s admission that only three people worked on the graphics for seven months, the context made the achievement even more impressive. I did say that it was lucky to get a slot at Pusan, but by the same token, I also think that it is a mighty fine start for the film, and should be used as a springboard for a wider release in Asia (instead of just the Bahasa Malaysia/Indonesia-speaking nations). The link given by a commentator for the last Pusan post leads to a Berita Harian article quoted a more-than 80% attendance for the screening. I don’t know how they got that figure, but having surveyed the crowd before the screening (as I tend to do, for some reason), I have to say that the figure is the fabrication of somebody’s imagination somewhere. Perhaps it is a reflection of the number of tickets sold, rather than those who actually turned up. To my eyes, at least, the cinema itself was slightly over half-full. The early start on Sunday morning didn’t help much, but those who did hang around seemed to like it enough. For one, it was even the first time he watched a Malaysian film in his life. I wondered whether he now thinks that all Malaysian films are like this. The Wong choice for many. Had the same guy obtained a ticket for ‘Punggok’, he would be sorely disappointed. Floating very, very far from ‘Cicakman’ in terms of style and substance, despite its status as one of the 85 world-premiere films, Azharr’s film would only be screened in two slots through the entire festival. Actually, the ‘world premiere’ status is a bit weird. 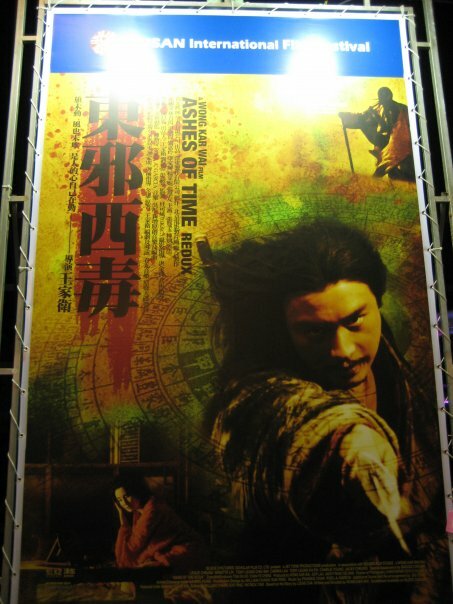 It was released in Malaysia about a week before the festival started, but the version shown in Pusan had over 30 minutes worth of extra footage. Having missed the first one because of ‘Muallaf’, there was no way I would miss its second. Playing to the weekday crowd, having lost its ‘world premiere’ shine and without Azharr around by then, the crowd was quite small. However, given that other heavily-hyped films like Italy’s ‘Il Divo’, eventual New Currents winner ‘Land of Scarecrows’, and Korean indie master Hong Sang-soo’s ‘Night and Day’ were also vying for attention in the same slot, I wasn’t particularly surprised. I personally liked the style of the film, which seems to take the Dahuang style, inject it with a shot of adrenaline, and make the long shots last so long that even the Romanian New Wave directors would tap out in submission. Nevertheless, it didn’t help that the story changed tack halfway through, and I notice a fair number of people poring over the synopsis in their programme books, wondering what it was all about. ‘Escape’, by Charlotte Lim, had a similar style, though it wasn’t as overly-drugged as ‘Punggok’ was. Once again, the crowd wasn’t great, though this time the early morning start on Thursday meant that people were far more likely to be at their workstations rather than be caught watching short films in languages they don’t understand. It was grouped together with three other shorts in ‘Short Film Showcase 2’, all of which were very different in their own ways. Truth be told, I had no idea who Charlotte Lim is, and was hoping that she would be in attendance so that I could do some grilling. Alas, I didn’t see her at the screening (there was no Q&A after the screening, so even if she was in attendance, having never met her before, I wouldn’t know about it). I liked the story enough, and it seems like the kind of film you might find in Malaysian Shorts and Filmmakers Anonymous. You’d do well to check it out, given the chance. The final Malaysians to be found at Pusan are the aforementioned Pete Teo (on-screen, at least) and Ngui Ing Yat, who took part in the Asian Film Academy (AFA). Both were scheduled on the final day, and at the same time-slot no less (the organisers are really cruel to Malaysians this year. Was it something Seng Tat did last year? 🙂 ). I plumped for the AFA screening of the two short films they produced. After all, I could always watch Pete’s music videos another time on Youtube, I suppose. For the record, the festival selected ‘Arms of Marianne’, ‘Lost in America’, and ‘Here In My Home’. As it turned out, the ‘screening’ was also the graduation ceremony of the AFA participants. Not that there was much wrong with it, it just meant that I was the only pleb in attendance who bought and ate popcorn through the various speeches and their respective translations. On the (very) bright side, I caught a glimpse of Hou Hsiao-hsien, who serves as the dean for AFA. I knew of the fact beforehand, but had thought that perhaps he would be one of these superstar deans who lends only their name but not their actual presence to the proceedings. For once, I was glad to be wrong. I like both of the short films screened, ‘One Last Goodbye’ and ‘Letters From White Mountain’. The more artistic nature of ‘Letters’, telling the story of a monk and a young girl, leans me towards it a bit more, with Kim Ki-duk’s ‘Spring, Summer, Autumn, Winter…and Spring Again’ jumping to mind (in terms of story, at least). Plus, it was also the project that Ngui Ing Yat was involved in. However, each project had four different directors, and I couldn’t quite discern how much influence each director had. Numerous questions shed a bit more light on this, but I suppose the answer, much like the process, would remain forever grey. I would have liked to know more about it, and also to meet and chat with Mr Ngui himself, but was running out of time to get to the next (and final) film of the festival for me, ‘JCVD’. The other, more pressing reason was…I really, really needed to pee. The end of this post brings to an end my special look at the Malaysians Pusan. 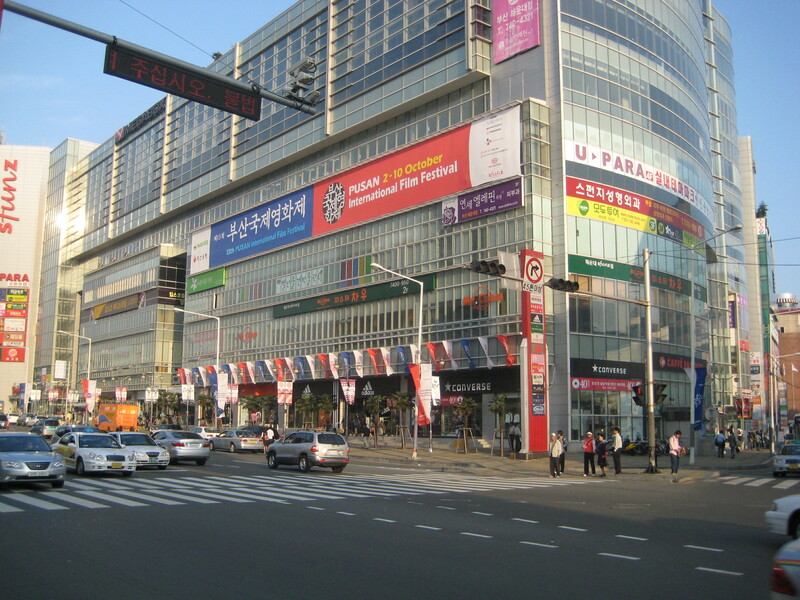 In time, I will specifically review the films that I managed to watch here in Pusan, but though I am not more than a few days removed from its end (at the time of writing), I am already missing the city and the festival. I had looked forward to it for a long time, but despite lasting the whole week, it seemed to pass by really quickly. I met Nicholas Saputra without realising that I met Nicholas Saputra. 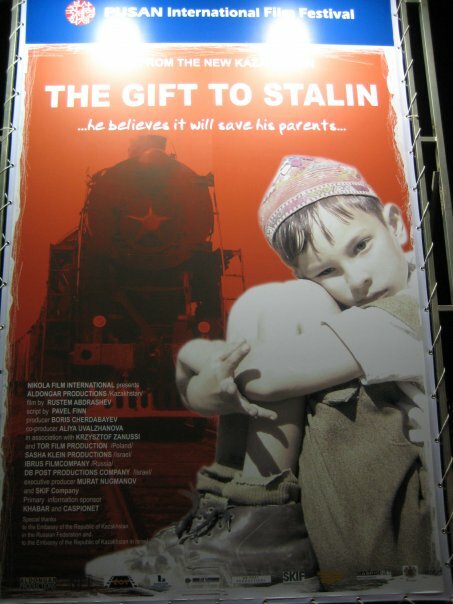 I told the director of the opening film, ‘Gift to Stalin’, in my limited Russian, that I am not gay (spasibo, Anyuta). 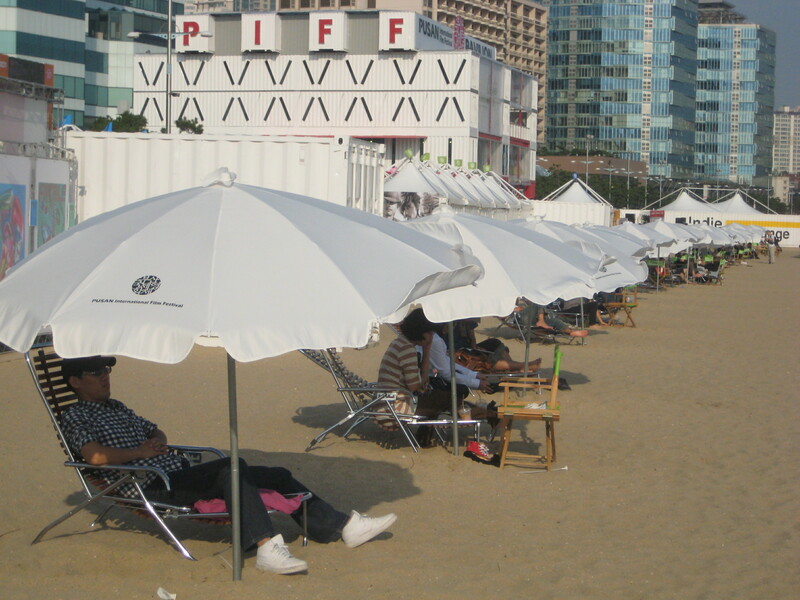 I didn’t help throw any Singaporeans into the East Sea this time, but three comely Korean girls did tell me (simultaneously!) that I am handsome, making me blush on the inside, at least. And for those of you who are keeping track, here are the list of winners from Pusan. Does it say something that Fikri didn’t manage to catch any of the award winners? At all? 😦 For a less Malaysia-centric look at Pusan, check out the festival’s website here. Photos by Shirley Wong, Yves Gutenjar and Wong Tuck Cheong/Azharr Rudin. Respective thanks, felicitations and nice-to-see-yous to all the Malaysians we met in Pusan. See you next year. thanks for the posting, and i was also there at PIFF. i share your opinion about SELL OUT!, and would watch it again,in theater for the first time here in HK. I’m writing a more in-depth review of the film soon, so hang around for that one 🙂 Take care, and have a nice day!